Using a sprinkle of movie magic and a dash of Indian Summer, Kettler recreated a beautiful summer garden to film new product videos for next years’ brand new ranges. Not only did we shoot new products but also current garden furniture, including Kettler’s RHS Wood collection and the Palma Mini Set. 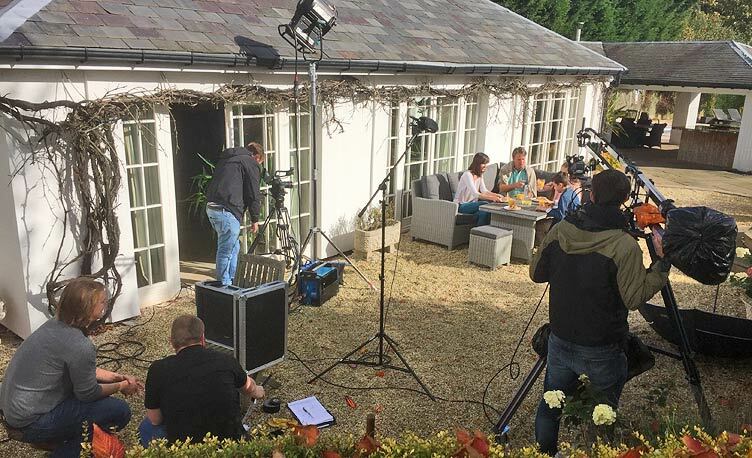 Birmingham based Slinky Productions helped us bring our ideas to life, shooting on location in some stunning gardens around the West Midlands. Our videos will showcase what makes Kettler garden furniture so special and allow people to get a closer look at our designs, materials and features. Not only have we made videos for the garden furniture sets, but also our newest fitness products, including the high incline treadmill K2 and Arena treadmill (pictured below).